Tomorrow’s Technician and B’laster are searching for automotive technology instructors who think outside of the toolbox with the first-ever “B’laster Instructor of the Year” program. Each month, we will share an automotive instructor’s story who is in the running to be named the B’laster Instructor of the Year winner in May 2019. 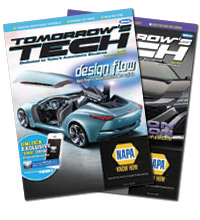 Instructors can enter the B’laster Instructor of the Year program at TomorrowsTechnician.com/instructor-of-the-year. 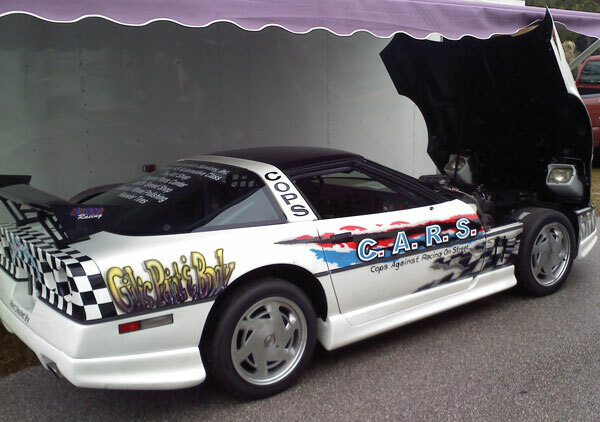 Our sixth finalist shares how restoring vehicles for drag racing helps his students learn every aspect of the vehicle, while learning the satisfaction of hard work. 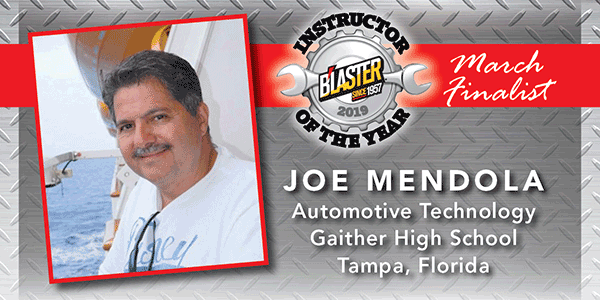 Joe Mendola has been teaching automotive technology for 18 years. He has been in many businesses including junk yard work, towing and automotive repair, and has been drag racing for more than 35 years. He spent 20 of those years working and winning championships with his sons and many students. Mendola has been an ASE Master Certified technician for more than 30 years. What sets me apart from other instructors is that I remember everything that I loved about my teacher and shop in my high school automotive class. So, I want my students to share the values and work ethic, along with the lessons, that come from that era. In the classroom, we just started a new initiative with web-based learning from Electude. It is a virtual program where you can start a 4-cylinder car, diagnose it, replace the coils, injectors, etc., and then you can rescan it to clear the codes, as well as view the invoice of your work. 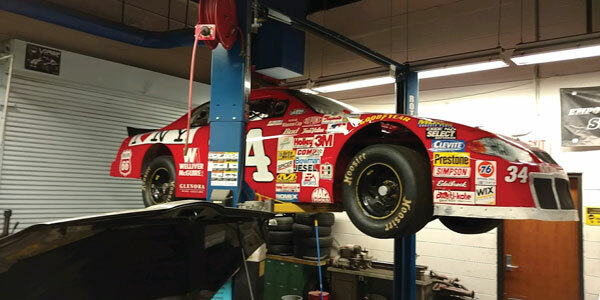 For our fun work in the shop, we restore old performance race cars, with our ASE tasks in mind. I’m involved in drag racing and often my students go into that industry, as well. My class is always working on a variety of projects to help them learn. 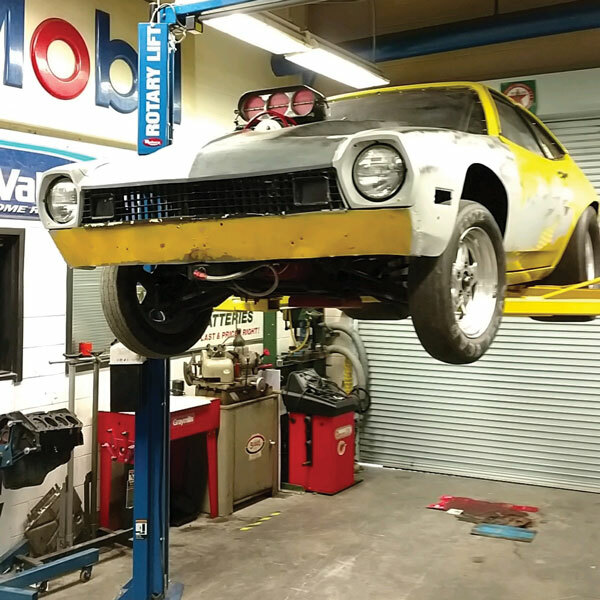 Lately, we have been working on a 1973 Ford Pinto drag race car. It used to hold records in drag racing in the 1970s and was abandoned out in the leaves for many years, so we rescued it and chased out the bugs, literally. 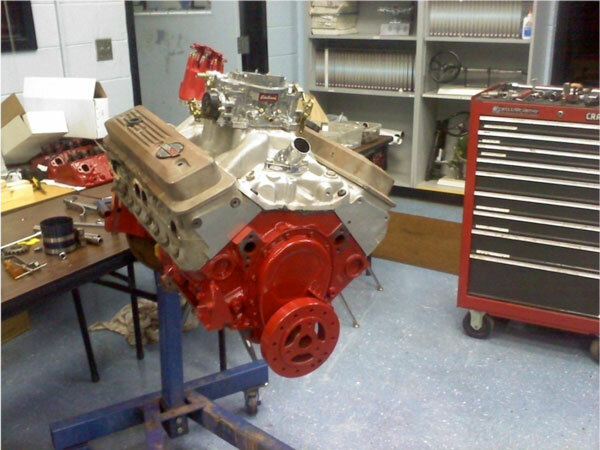 Then, we built a 409ci small block Chevy engine with a DMPE supercharger on E85 alternative fuel. It was all student built, and beyond the engine work, there is just too much to list that the students completed. We are also restoring a 2002 Winston Cup Monte Carlo. We have found and installed a Winston Cup engine from RAMM Recycling in Plant City, Florida. We have the engine, clutch, 4-speed shifter and exhaust all hooked up. We are 80% done. We’ve had a few little hiccups with our small budget, but it has been a wonderful job supported by industry partners, and a lot of personal donations from me. I love what we do here. Restoring vehicles helps students not only learn, but also feel a sense of accomplishment with the finished project. One of my favorite projects we did was the Randy Davis Corvette. 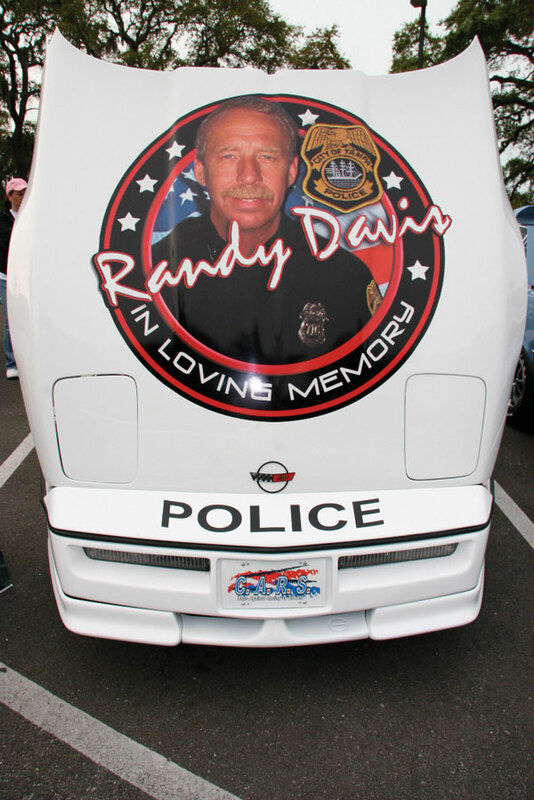 Randy Davis was a Tampa Police Master Patrolman who was dedicated to keep our young people from dying in street racing crashes. Tampa Bay leads the U.S. with that data so Randy started a club: Cops Against Racing on Streets, a.k.a, C.A.R.S. 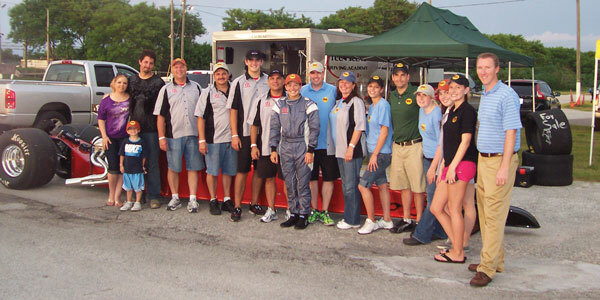 All of the high schools in Hillsborough County had a chapter and competed against each other with car shows, and drag racing after the shows at the local dragstrips. In January 2010, Randy passed away from cancer. His diagnosis to the end was less than 28 days. It was devastating to all of us. He had started a shell of a 1989 Corvette, so along with a local business and Gaither High School, we finished what Randy started. It took 18 school days to complete the build. The finished Randy Davis Corvette at 2010 Bay Life Auto Show. 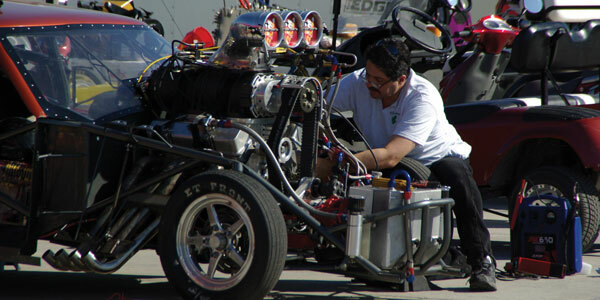 The project was special because we were building Randy’s dream car and the project was sponsored by Fred Lay, a C.A.R.S. Club member and sponsor who owns Construction Services Inc. of Tampa. We started with the old Corvette engine, pulled it apart and cleaned it, honed all of the cylinders and resurfaced the deck of the cylinders. Converting the ‘89 Corvette from a 6-speed stick shift to an automatic was not easy. When we started assembly, all the students were involved during the build – turning the crankshaft 200 times on the engine stand, with the drill turning the oil pump. We then fitted the mock-up block and transmission into the Corvette, while the engine was being finished. Making everything fit was a challenge. Then, we had a whole new wiring harness installed by the advanced Gaither auto electrical students. We ran all the wire and hooked up everything. The students could not believe how easy wiring is to understand, when you break it down into small bites. During the final assembly, it was a challenge for all who worked on it. Preparation for the drivetrain was intense. While the engine was in final assembly, the students worked on the ‘89 Corvette to get it ready for the install of the new drivetrain. We used an empty small block Chevy engine and a turbo 350 automatic transmission to set up the Corvette for the new engine and transmission. 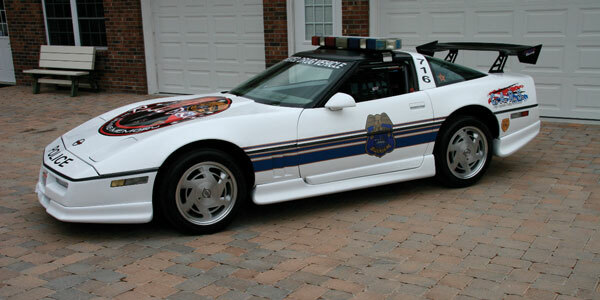 The Randy Davis Corvette after Fred Lay’s modifications. Then, we installed the drivetrain, with the polished look of an aluminum, chrome alternator. We had to order parts from all over the states. Local suppliers also helped a lot, providing everything from Corvette-only parts to the high-performance components. When we first got the build job, the engine compartment was originally empty. There was no cooling system, engine, transmission or wiring. Randy did install a roll cage and racing seat. We finished the job in 18 days and the car went on to win Best in Show at the 2010 Bay Life Auto Show. It was nothing but teamwork. Some of the teams did not know what the other teams’ jobs were, just why we were doing it. There was no time to think about it because we were so busy every day. The students just wanted to be a part of all the work. They also knew if they did their part with excellence, the job would get done right. After all, this is a self-portrait of the Gaither High School Automotive Technology Program.